Well, Santander Bank is back with yet another interesting credit card balance transfer offer, though it might not be as good as their earlier Sphere Card offer. This one doesn’t even come with 0% APR, but they aren’t going to charge you a balance transfer fee if you make the request in the first 90 days from your account opening date. I like that Santander gets creative with their credit card offers. You can tell they put some real thought into it, unlike some of the other issuers who tend to spit out run-of-the-mill stuff. Their latest credit card, the “Santander Ultimate Cash Back Card,” comes with 3% APR on balance transfers for the first 12 billing cycles, which yes, is above 0%, but sans the typical 3% fee. That means instead of paying a percentage of your transferred credit card balance upfront, you simply pay it monthly. And that could save you some money. Let’s consider an example. Say you transfer $3,000 in existing credit card debt to the Santander Ultimate Cash Back Card from one of your other credit card issuers. Instead of paying $90 upfront in balance transfer fees, you’ll pay nothing. However, your balance of $3,000 will begin accruing interest at a rate of 3% immediately. If we use simple math, you’ be looking at total finance charges of $7.50 the first month. Now suppose you’re actively paying down the balance each month. If you’re putting say $300 toward the balance each month, the total amount of finance charges will decrease each month. So there’s a good chance you won’t actually pay $90. But if you don’t pay much of the balance down, you could eventually pay more than $90 in fees. In other words, this balance transfer offer might be good for someone who intends to pay off the debt, not someone just looking to buy time. But it does illustrate how you could potentially save money with a 3% APR balance transfer versus a 0% APR balance transfer with a 3% fee. 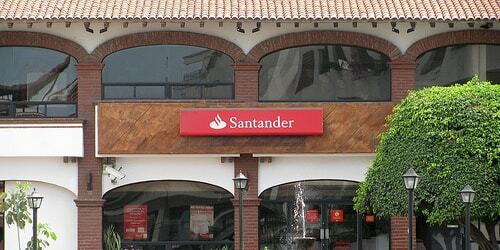 At the end of the day, it’s a little bit gimmicky of Santander, which is totally fine. For me, the classic 0% APR offer still wins out in most cases because it gives you more options and breathing room, despite the fact that most come with upfront fees. If you can avoid paying finance charges entirely for a year and a half (or longer), it might be more attractive than foregoing the balance transfer fee. But as always, you’ll have to do the math and map out a plan. Everyone is different and has their own strategy. It should be noted that the Santander Ultimate Cash Back Card has one or two gotchas if you intend to use it for a balance transfer. They’re offering $100 cash back if you spend $500 in the first 90 days. Not a good idea to commingle new purchases and balance transfers…you’ll get hit with finance charges on the purchases unless you pay off everything (including the transferred balances) in full. And the standard purchase APR as of the time of this post ranges from 15.24% to 24.24%, based on creditworthiness. Not a cheap mistake to make. This card also earns 1.5% cash back on all purchases, which is great for a credit card you intend to only make new purchases with. It’s not a good setup for both purchases and balance transfers because, as noted, you don’t want to combine them on the same card. However, if and when you pay off your balance transfer, then you could use this card for purchases, so long as you pay off the balance each month to avoid finance charges. The good news is that the Santander Ultimate Cash Back Card doesn’t have an annual fee or charge foreign transaction fees, so it’s actually a balance transfer card worth keeping once you pay off your balance(s).